If you are a Shopping Centre, Garden Centre or maybe an Independent Store looking for entertainment at your Christmas event. 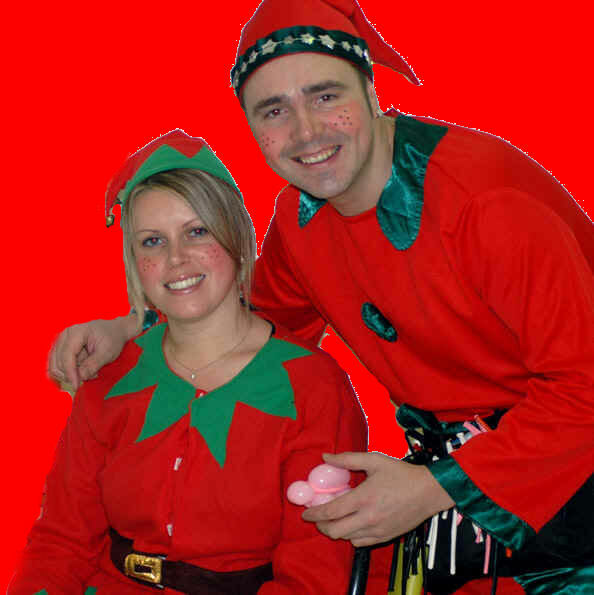 Silly Scott has the right entertainment for you, whether you need the families entertained while they are waiting to see Santa in his grotto or maybe you are looking to add that extra special Christmas touch to your event. Silly Scott has a team of Christmas themed entertainers to suit your event, which include strolling balloon modellers or amazing magicians. Over the years Silly Scott has proven to be a massive hit at events for some of the uk's biggest retailers, with his smart, bubbly and friendly approach to customers, this enables him to draw a big crowd and create a fun and relaxed atmosphere enjoyed by all ages of your clientele. 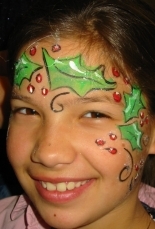 Silly Scott has a team of trained professional face painters, who can bring some amazing Christmas scenes or Christmas charactors to life on any childs face. 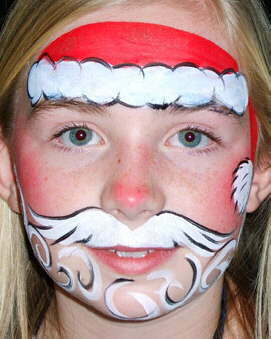 You can be Santa, Rudolph, Frosty the Snowman or choose from their extensive range of Christmas themed tattoo stamps, just incase you dont fancy a full face you can have a stamp on your arm or cheek which is then coloured in using the normal face paints. All the face paints used are eu aproved and enriched with a moisteriser, these paints used do not contain lead. 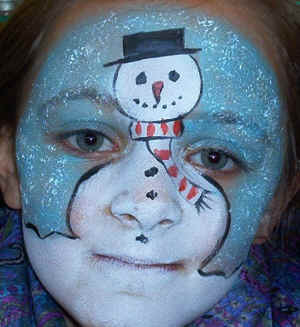 Silly Scotts team of face painters are fully insured and hold a current CRB cerfitcate. They also work to a high standard of hygiene, to make sure your child is fully protected. Face Painting is booked by the hour and paid in advance, or if you wish the face painter can collect a fee for each face painted if you would like to reclaim the money of their hire fee. 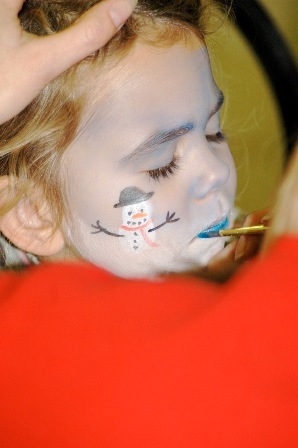 If you would like to find out more about hiring a face painter for your event, please click on the link below.